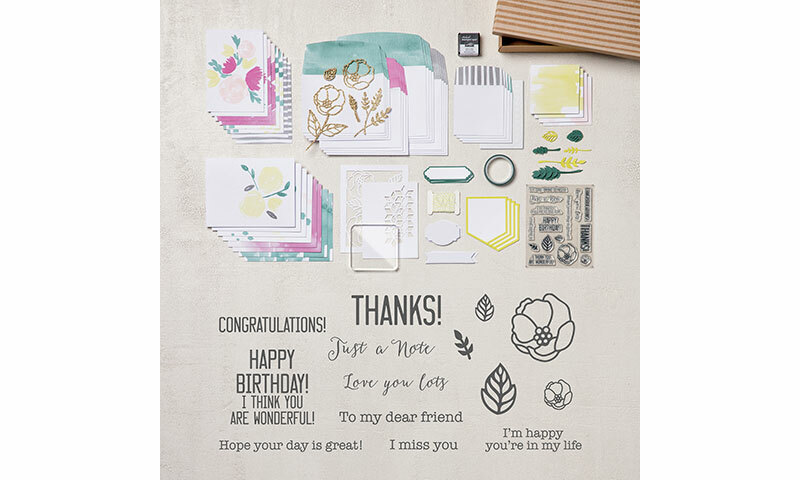 This beautiful yet simple card was whipped up using the stamp set that comes with the Soft Sayings Card Kit from the Annual Catalog. It can be found on pages 10-11 in the US Annual Catalog. 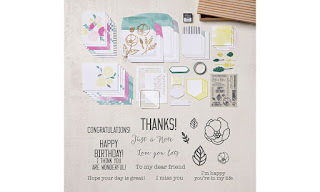 I repeatedly stamped the THANKS image in the Basic Gray ink spot that comes in the kit. Its an all inclusive kit, which means all the supplies needed are included, except the adhesive. 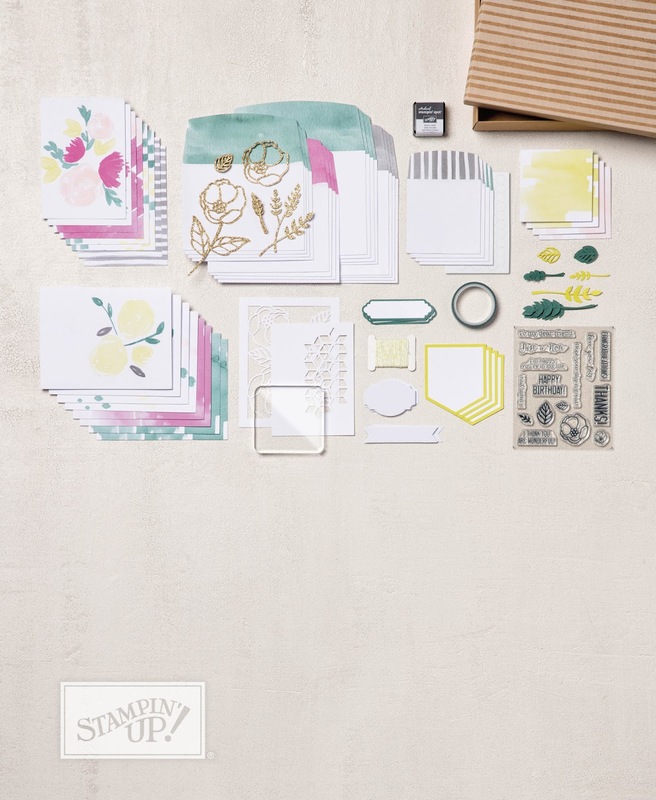 ink, stamps, papers, ribbons, washi and an acrylic block to use with the stamp set. And a cute storage box! 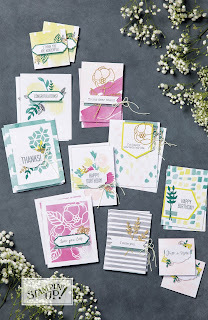 I stamped the flowers in 2 of the new In Colors - Powder Pink and Lemon Lime Twist. There was plenty of the bakers twine ribbon left, even after this card, from the kit to make several more projects. And for at the first time ever, drumroll please, the kit has a refill! Yes, more paper, ribbon and washi at a $21.00 pricetag is pretty darn awesome. 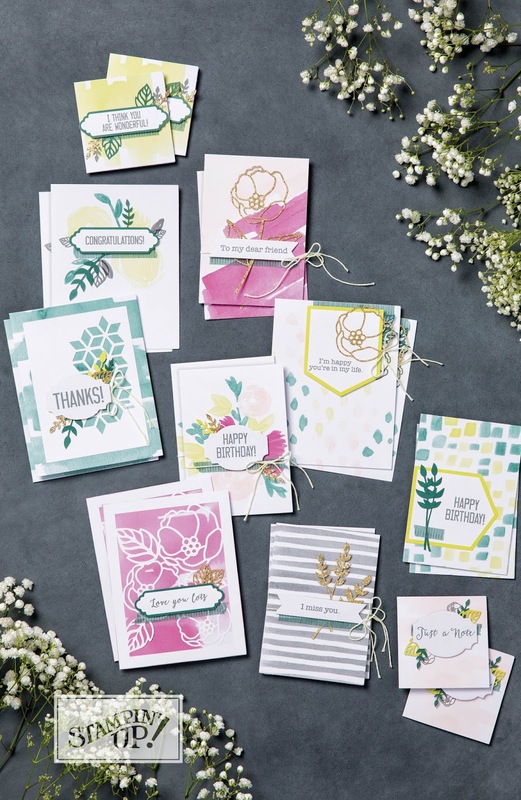 Add on a pack of Whisper White cardstock (100730 $9.00) and White envelopes $7.00 to your kit order and you are already over $50.00 to get your $5 coupon for August purchases. Remember, it is BONUS DA'YS this July. For every $50.00 in merchandise purchased, you get a $5.00 coupon to use for August. Coupon will be emailed to you. Save it for August. Knee update: had a major setback Saturday evening. Details unimportant. But I have mostly been grounded to the bedroom by my family. 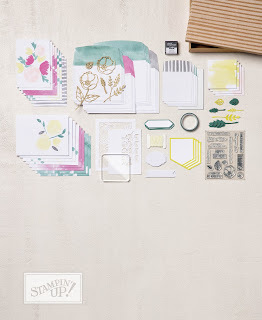 Thank goodness I had a bucket of cards that had already been cut and stamped that I can assemble while I wait out my prison sentence..... Just kidding.